This easy Chocolate Sheet Cake recipe is covered with a thick layer of delicious chocolate icing. Watch the video showing you how to make this recipe, then scroll to the bottom of this post and print out the recipe so you can make it at home. You know how sometimes you have a recipe that you’ve wanted to make for a very, very long time… a recipe you’ve seen a million other places but you’ve never tried it yourself? 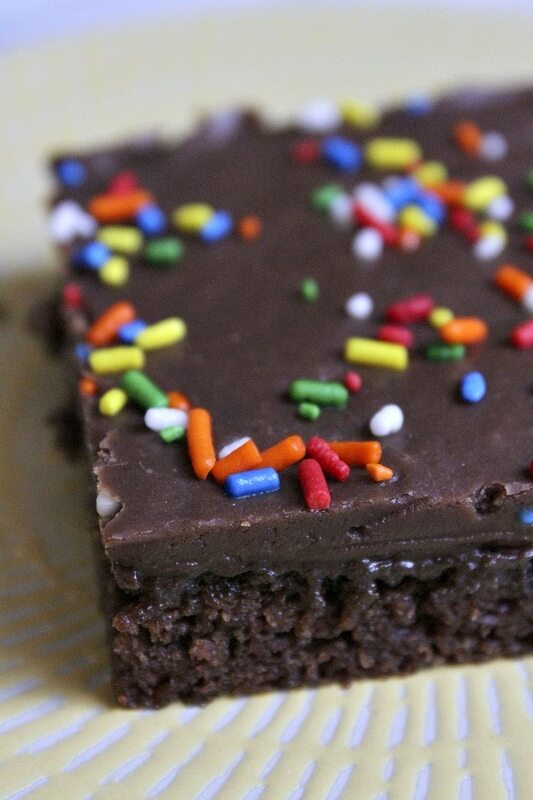 A simple Chocolate Sheet Cake is one of those recipes for me. Are sheet cakes a Southern thing? I’m wondering if that’s why they haven’t been on my radar. I finally made my first sheet cake, and I’m totally and completely happy that I did. What a winner this cake is! 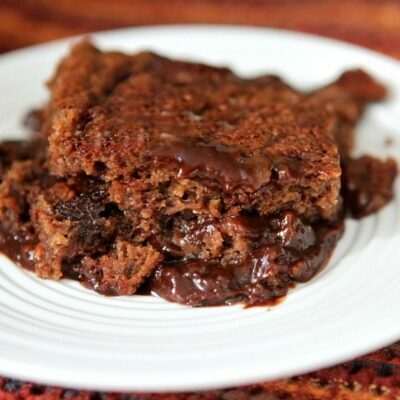 It’s very chocolatey and moist and rich. It’s everything I hoped it would be. There are plenty of recipes on the internet for Chocolate Sheet Cake, otherwise known as “Texas Sheet Cake.” I decided to go with the trustiest source I know for this sort of thing: Ree Drummond’s The Pioneer Woman Cooks Cookbook. I was tasked with feeding a large crowd at a family BBQ last weekend, and I know that Ree feeds large crowds on a daily basis. No brainer. This is Ree’s recipe. 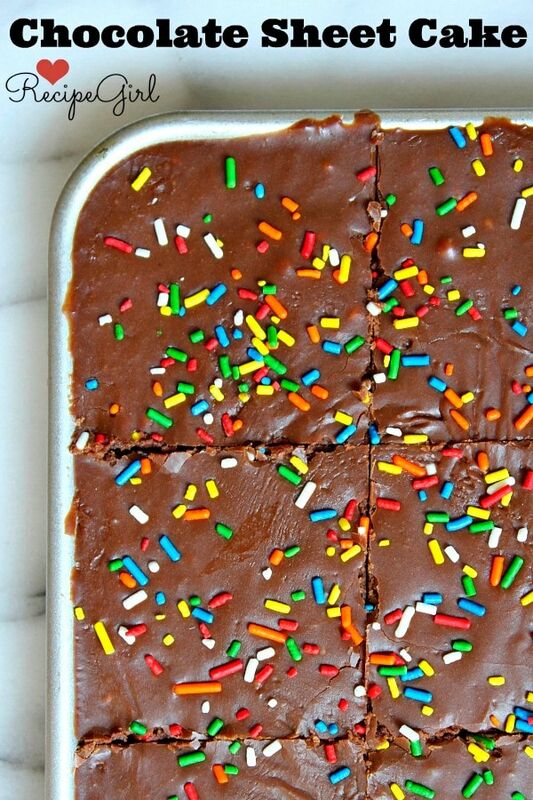 You need the right kind of pan for this if you truly want to make it a sheet cake. You’ll need a 12×18-inch rimmed baking sheet. If you don’t have one, go ahead and pick one up (they’re great for baking cookies too). But Ree does mention that you can use this recipe to make cupcakes too. You should be able to find a 2-pack of these pans at Costco for a pretty good price. I used them for everything- sheet pan dinners, baking cookies or just for organizing ingredients in a recipe. For convenience, you can also order the pans on Amazon here: 2-piece Rimmed Baking Sheet Set. The cake is big, but it’s thin. So you get a perfectly rich and chocolatey slice that is not overwhelmingly too much. 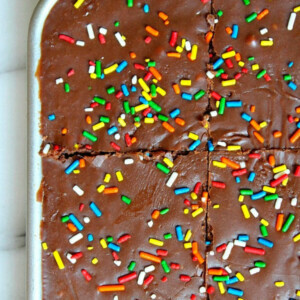 The sprinkles, of course, are optional. Ree’s recipe calls for chopped pecans on top, but we’re more of a rainbow sprinkles kind of family than a nut family so we usually go with those. An easy-to-make warm icing is poured over the just-out-of-the-oven cake. When it has cooled, the frosting turns itself into a fudgy top layer to the cake. See that thick layer of frosting?? Yeah, it’s really very good. To give you an idea of how good the cake is… my sister Susie doesn’t even like chocolate cake (and neither do I! ), but we both LOVE IT. And everyone else always loves this cake too. Thank you, Ms. Pioneer Woman. 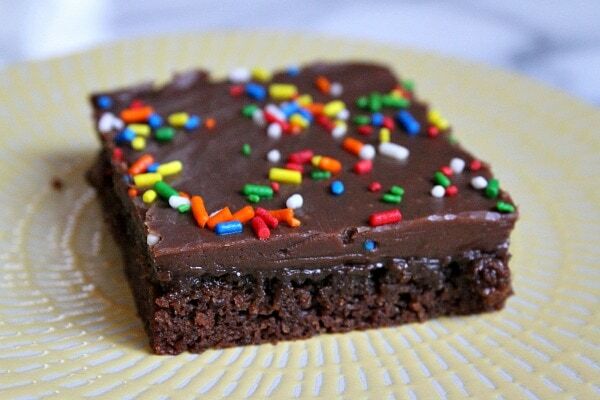 Your chocolate sheet cake recipe really and truly rocks! 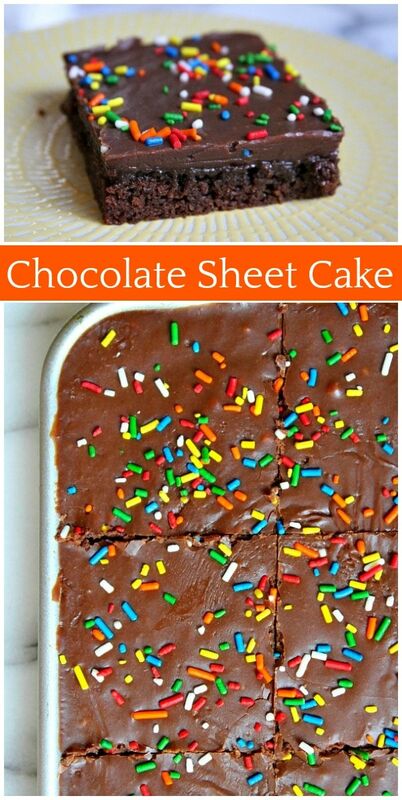 Bake this Chocolate Sheet Cake recipe for a special celebration or just because you want to feed some friends a sweet treat! It feeds a lot of people (24 servings), so it’s a nice one to be able to share with others. 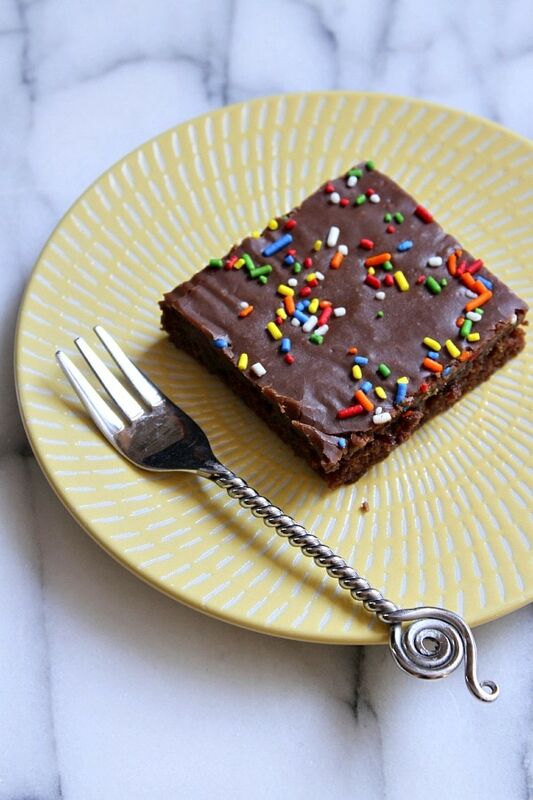 Love this simple chocolate sheet cake with the best icing! In a large bowl, whisk together the flour, sugar and salt. In a separate bowl, whisk together the buttermilk, eggs, vanilla and baking soda. In a medium saucepan, melt the butter and add the cocoa; whisk to combine. Add the boiling water to the pan, mix and heat until bubbling, then turn off the heat. Pour the hot chocolate mixture into the flour mixture and stir to combine. Pour in the egg mixture and stir together until smooth. Pour into an ungreased, nonstick 12x18-inch rimmed pan (jelly roll pan), and bake for about 20 minutes, or until the cake is set and no longer gooey in the middle. While the cake is baking, make the icing. Melt the butter in a medium-large saucepan over medium heat. Add the cocoa powder and stir until smooth. Pull the pan off the heat. Add the milk and vanilla, then stir in the powdered sugar. Use a whisk and stir vigorously to get all of the lumps out. Pour the warm icing over the cake as soon as it comes out of the oven. Try and pour it over the cake evenly and spread it out quickly to cover the top, then don't mess with it. If you want sprinkles or nuts on top, sprinkle those on immediately. Let the cake sit at room temperature until ready to serve. *Making this early in the day and serving at night is totally fine. We enjoy leftovers for a couple of days after serving and it's still totally moist and wonderful. Just keep it covered with plastic wrap at room temperature. In 1969, when i was still in college, a neighbor across the street gave me this exact recipe…..to be baked in a jelly roll pan (although the 9 x 13 inch pan is awesome, too.) Whichever way you bake it, it’s to die for. I usually add some instant espresso to the water just to enhance the chocolate flavor. This looks so much like something I grew up making back home in Sweden. I haven’t compared the recipes side by side, but I do know that we use strong coffee in the frosting instead of milk. Sometimes we make just a yellow cake with the same chocolate frosting. Something that’s also good to add on top is unsweetened shredded coconut, my favorite. I made this & it came out looking JUST like your picture! I really couldn’t believe it; serious, it was identical! 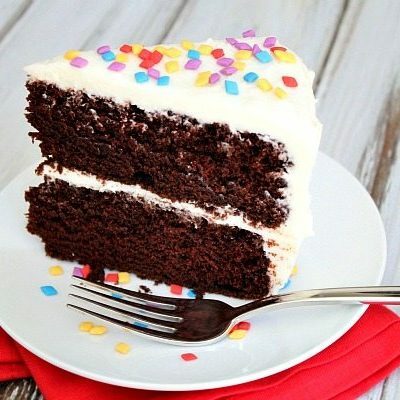 I REALLY like how the frosting is made on the stove and it goes onto the cake warm and you get a flat & smooth frosting. The cake tasted wonderful & I am making it again tomorrow for an Easter luncheon I am going to. This was my first sheet cake as well. Thanks for sharing this wonderful recipe. I have made this for 35 years always a winner! HOWEVER…….I also like it in the NON chocolate version which is simple. 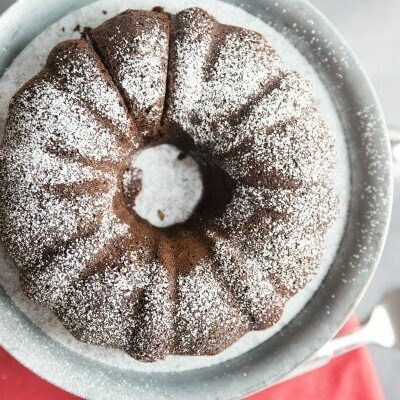 Eliminate the cocoa of course and instead of buttermilk use 1/2 cup sour cream and instead of vanilla use almond extract! Bake 375 for 18 minutes! I like that idea- thank you! I have also been wanting to make a sheet cake lately! I’ve never had one like this, can you believe it? I’m going to have to remedy that soon! It looks amazing! I too have wanted to make this cake for years. My aunt made this cake for me after my Dad went to Heaven…it’s time I made it for my family. I love that you used the sprinkles instead of pecans! Is there anything better than a classic chocolate sheet cake?! I think not 🙂 Can’t wait to try this, Lori! 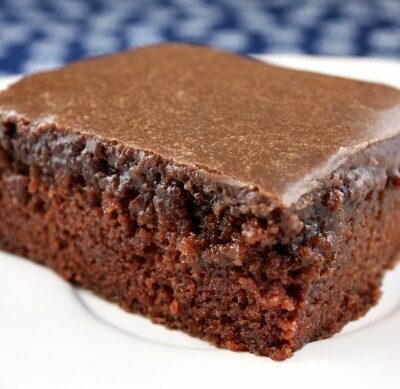 this is a very simple and easy to cook chocolate cake, thanks for the recipe. I feel the same way about this cake! I see it everywhere and have always wondered about it. Love that it has your stamp of approval. And I love the sprinkles!